Aquarius can freeze the moisture in the air around a target to create a block of ice around them. It has a long casting time so is probably not effective against moving targets. 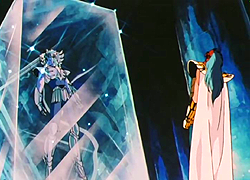 Although Camus claims that the freezing coffin lasts for hundreds of years and can't be broken even by the combined strength of the Gold Saints, Shiryu breaks the coffin with one of Libra's weapons, and Minos Griffon punched through it when Hyoga tried to use it as a shield. Soo... yea. 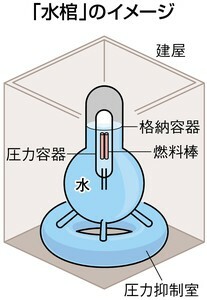 It can also be broken out of from the inside by using one's Cosmo to raise temperature above that of the coffin.